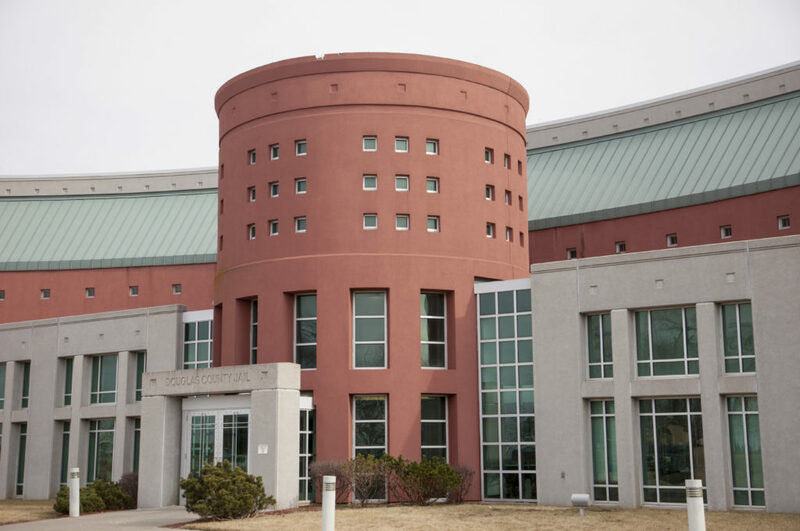 From something called a “rocket docket” to relying on technology newer than a fax machine, a new report has 10 recommendations to speed up Douglas County court cases and perhaps alleviate overcrowding at the jail. In 2016, the Douglas County Commission hired Allen Beck, of the Kansas City, Mo.-based Justice Concepts Inc., to study district court proceedings for recommendations on how to speed up the resolution of cases involving jailed defendants. The report, which was shared earlier this month with the Douglas County Criminal Justice Coordinating Council, takes a systematic approach to the goal of faster felony trials, said Robert Bieniecki, Douglas County criminal justice coordinator. It provides recommendations for steps the district court, probation officers, the Douglas County District Attorney’s Office and defense attorneys could take to expedite the trial process of county inmates, he said. • Consider creation of what is known as a “rocket docket” that is used in some jurisdictions. The process would involve the district court giving priority to legal proceedings involving incarcerated inmates above those out on bail or in the jail’s pretrial release program. The rocket docket also would create a docket reserved for less complex cases involving incarcerated offenders. • Improve the system for sending orders of district court judges to the jail. 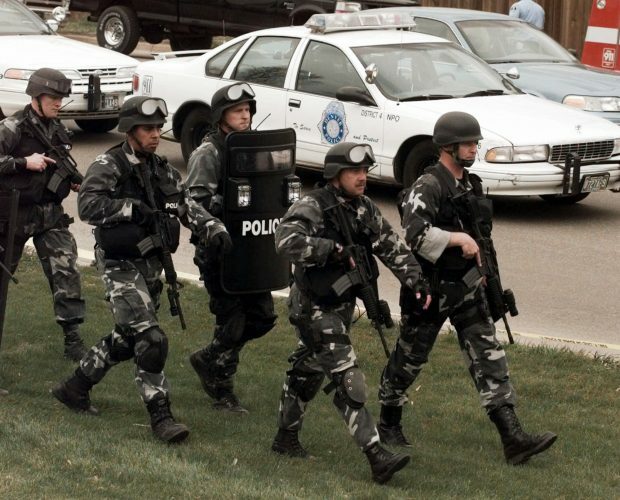 The current system requires court security guards hand carry fax messages they receive from judges to the jail. The system makes it difficult to quickly correct occasional omissions or mistakes in the orders, Beck wrote. Those errors can lead to delayed releases, inmates released without knowing all the conditions of their bonds or missed opportunities for treatment. • Send better information from the jail to district court judges. Beck recommended the jail track inmates by length of stay, which would be used to place inmates in a tiered classification system that reflects the legal complexity of their offenses in the court system. The more complex classifications would be expected to take longer to resolve. Beck wrote that the practice, known as differentiated case management, has been around for years and provided the example of Tarrant County, Texas, where felony offenses slated for trial are classified as expedited, basic or complex. Beck further recommended the jail forward the tiered classification inmate list to district court judges twice a week, so that they could note defendants whose court proceedings were lagging. • Begin using a sentence strategy of “quick dips” where appropriate. A quick dip is a short jail sentence of two to three days for parole violators. Kansas sentencing guidelines allow such short sentence in some cases. Research has shown short jail incarcerations are effective in changing offender behavior and less disruptive to the offenders’ overall rehabilitation efforts than longer jail stays, Beck wrote in the report. • Develop a faster system for transferring prisoners from county custody to state custody. Judges complete journal entries as the first step in transferring defendants found guilty in district court from the jail to state custody. Defense attorneys must sign the documents before they are official and have up to 14 days to do so. Beck recommended developing procedures that “establish a quick turnaround” so that beds can be freed up at the jail as soon as possible. • Encourage defense attorneys to make requests to the county jail in a more timely manner. The report noted delays in court appearances occur when attorneys make last-minute requests to interview inmates housed out of the county. 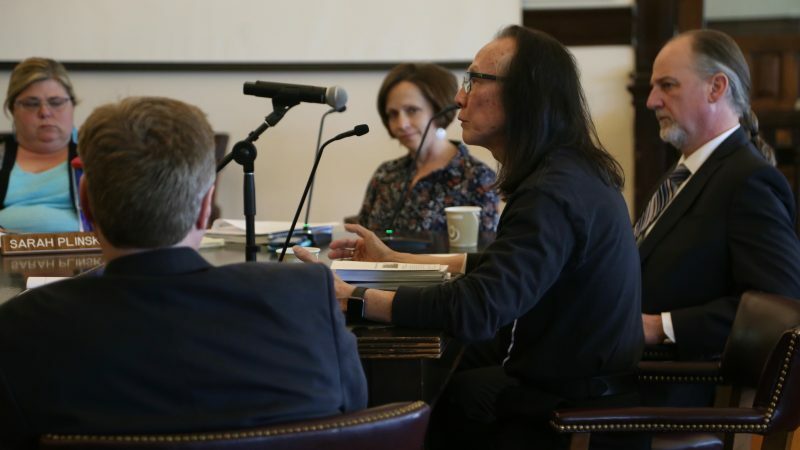 Beck also wrote that a track record of late cancellations of scheduled drug and alcohol treatment stays at inpatient clinics has spurred some clinics to no longer accept Douglas County inmates. • Determine why Douglas County defense attorneys are requesting so many drug and alcohol assessments for their clients. 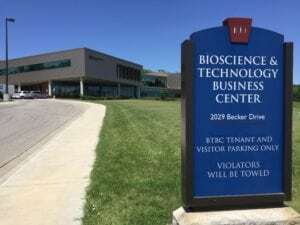 Beck noted that Douglas County defense attorneys requested district court judges approve 93 drug and alcohol assessments for jailed clients in 2017 compared to the 46 such requests in Johnson County, which has more than three times the number of inmates. 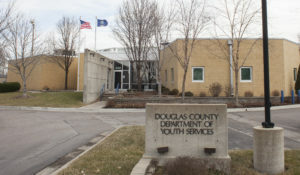 As a result, more inmates in Douglas County remain in jail awaiting the assessments, Beck wrote. Judges should urge defense attorneys not to request unnecessary assessments as part of plea bargaining deals, he suggested. • Produce and share more statistics with Douglas County judges on the county’s pretrial release program introduced in 2017. The data would include the number of times defendants in the program failed to make court appearances, how many inmates were assessed for pretrial release, how often judges made use of the program and reasons they did not approve pretrial release for qualifying inmates, and the average lengths of stay in the jail of those in the program and those who bond out. The goal is to identify any problems early so that they can be addressed and the program made more effective, Beck wrote. A natural question is how much the recommended changes could reduce the jail’s population, and whether they could be enough for the county to modify its plans for a $44 million jail expansion that voters will be asked to approve this spring. The report, however, did not address that question. 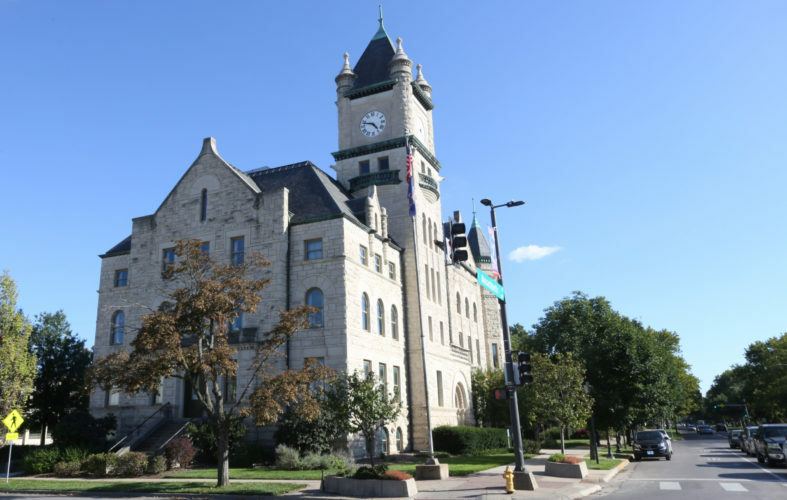 Douglas County Commissioner Mike Gaughan said commissioners believe the county has programs in place that are successfully diverting nonviolent offenders from the county jail. The county will continue investigating further efforts to free up additional beds at the jail that don’t compromise public safety, including Beck’s recommendations, he said. However, commissioners don’t believe those efforts would free up enough cells to make the jail expansion unnecessary, he said. 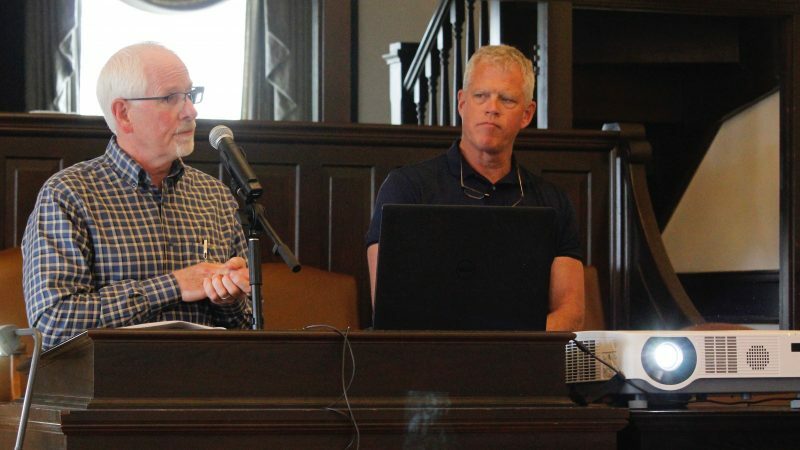 Ben MacConnell, lead organizer for the Lawrence faith-based social activist group Justice Matters, said it was disappointing the report didn’t provide estimates of how the changes Beck recommended would reduce the jail population. The County Commission should have had that estimate before asking voters to expand the jail, he said. “Every alternative, every rock should have been turned over before they put a $44 million jail expansion before voters,” he said. Beck shared the report Tuesday with Douglas County District Court Chief Judge Peggy Kittel, Bieniecki said. She planned to review it with the other district court judges before responding, Bieniecki said. Kittel did not respond to a Journal-World request for comment on the report.